The organist and harpsichordist Sébastien Daucé is fired with the urge to revive an abundant yet little-known repertory, the sacred and secular music of seventeenth-century France. It was during his training at the Conservatoire National Supérieur de Musique de Lyon that he met the future members of Correspondances. Key influences among his teachers there were Françoise Lengellé and Yves Rechsteiner. Initially in demand as a continuo player and vocal répétiteur (with the Pygmalion ensemble, the Festival d’Aix en Provence, and the Maîtrise and Orchestre Philharmonique de Radio France among others), he formed the Correspondances ensemble in Lyon in 2009, assembling around him singers and instrumentalists with a passion for the French sacred repertory of the Grand Siècle. With this ensemble, which he directs from the harpsichord or the organ, he now travels throughout France and around the world, and is frequently broadcast on radio. Sébastien Daucé and Correspondances are in residence at the Théâtre de Caen, where they developed their first staged projects (Trois Femmes directed by Vincent Huguet in 2016, Le Ballet Royal de la Nuit directed by Francesca Lattuada in November 2017), and are associate artists at the Centre Culturel de Rencontre d’Ambronay, at the Opéra and Chapelle of the Château de Versailles, and at La Chapelle de la Trinité with the support of the Ville de Lyon. Significant stages in the ensemble’s career have been tours to Japan, Colombia, the United States and China, alongside regular appearance in Europe (the United Kingdom, Germany, Benelux, Italy, Poland). Its exploration of a little-performed and often unpublished repertory has led, with the support of the Harmonia Mundi label, a pioneer of the Baroque repertory in many respects, to a discography of eleven recordings that have attracted considerable press attention and have received such distinctions as the Diapason d’Or of the Year, ffff de Télérama, Editor’s Choice in Gramophone, ‘Choc’ of the Year in Classica, and IRR Outstanding. Correspondances now enjoys international recognition: at the ECHO Preis ceremony in the Berlin Konzerthaus in 2016, it won the award categories of Best World Premiere Recording (for Le Concert Royal de la Nuit) and Best Young Conductor of the Year, while the Australian Limelight magazine named ensemble’s Le Concert Royal de la Nuitthe Best Opera of the Year 2016. 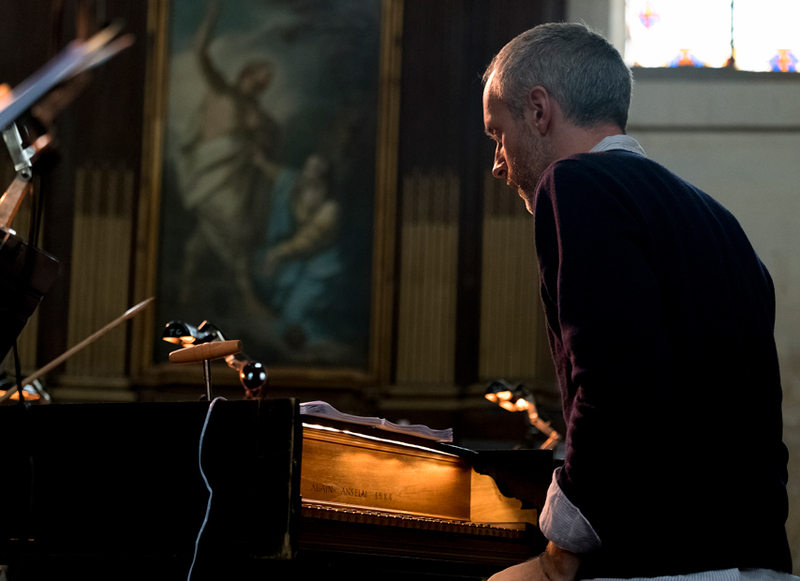 Alongside his activities as a performing musician, Sébastien Daucé works with the leading scholars of seventeenth-century music, publishing regular articles and taking part in important performance-practice projects. Passionately interested in questions of musical style, he edits the music that makes up the ensemble’s repertory, going so far as to recompose complete pieces when necessary, as was the case in Le Ballet Royal de la Nuit. He has been teaching at the Pôle Supérieur de Paris since 2012. In 2018 he is guest artistic director of the London Festival of Baroque Music. Sébastien Daucé is also an associate artist of the Fondation Royaumont.